This information relates to the original AR8200 and not the AR8200 Series 2. Are there different Models ? What about "full" coverage ? What Serial Numbers are there ? What Firmware do I have ? What's this about additional Screening ? Where is my Warranty Card ? What Accessories come with the AR8200 ? What should be on the Box ? AR8200 - Continuous Coverage units. The "B" suffix indicates the US model only. 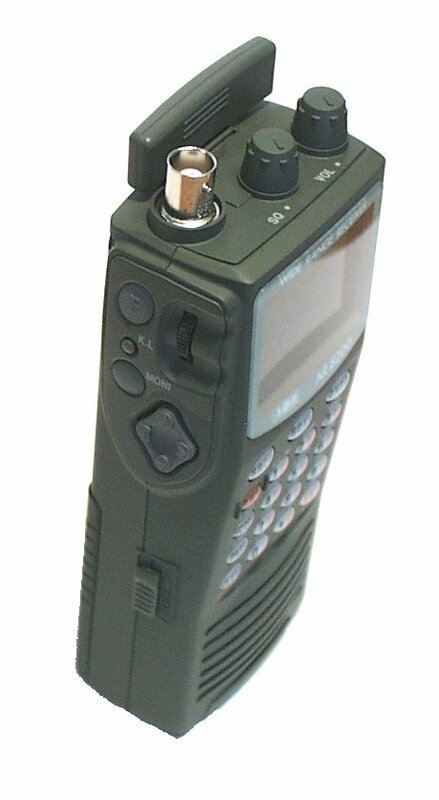 AR8200: 500kHz - 2040MHz continuous. AR8200B: 500kHz - 2040MHz with those frequencies used by cellular in the USA "blocked". These cannot be restored by hardware or firmware modifications. All AR8200 have their serial number on the back which will also match that the one on the end of the AR8200 Carton Sleeve. If not be suspicious ! The CPU also carries a Serial Number which can be displayed when using the AOR AR8200 Workshop Software (Click on HELP then ABOUT). The most recent (990410) CPU's support a baud rate of 19,200 which was not reliable on earlier versions. The new firmware will also return the AR8200 to a "Powered Off" state if the power supply is disrupted. It is NOT possible to use serial numbers as way to identify if the latest CPU is fitted. The only way to tell is to check the actual CPU serial via software mentioned above. I do not know if the above CPU serial numbers have been mirrored on the AR8200B. All AR8200's (since late June 1998) sold by ourselves have had additional internal screening over several key components fitted by AOR (UK) to assist with the reduction of internal "noise" - This was not initially a production feature and only available on those supplied by dealers supported by AOR UK Ltd.. This additional screening has been fitted at production level since the latter part of 1998. There is no "Warranty Card" included with the AR8200 package. Your Warranty will be with the Dealer you purchased it from (Note that not all advertisers of AOR equipment in the U.K. have the support of AOR (UK) Ltd.,) and they may include their own "Warranty Card" but this has nothing to do with AOR. Your Invoice/Receipt or Credit Card receipt are proof of purchase (with us anyway). As to whether this will be included might depend on whether you purchased your AR8200 from a source with a different AC Supply Voltage to your own. The AR8200 is packed in a polystyrene box with the above accessories securely packed. U.K Customers might note that the three pin AC Power Supply will not fit in the box but should be supplied. The exterior carton sleeve is grey/silver with green text. The serial number of the radio will also be displayed on the end of the box. Other identification labels may have been put on by the local AOR distributor or your dealer and may therefore vary. The side mounted Thumb wheel has also been changed and rather than having quite a fine knurled finish has fewer but larger ridges - this improves the ease of use quite a bit (so we found anyway ! ).